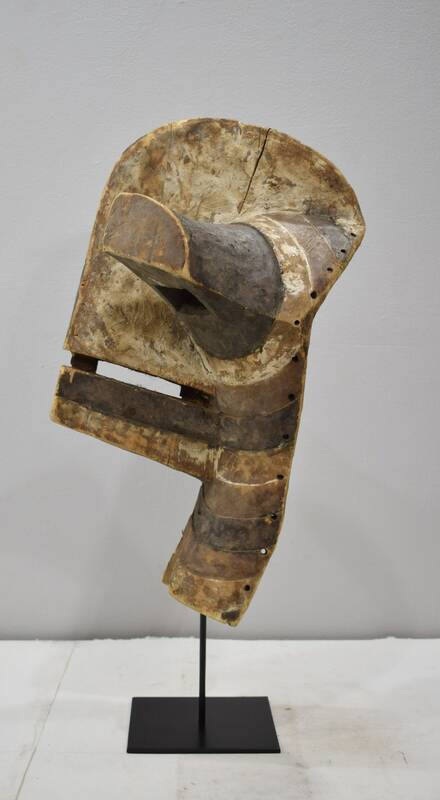 This is a fabulous Old Male Brown and White Songye Mask from the Democratic Republic of the Congo. 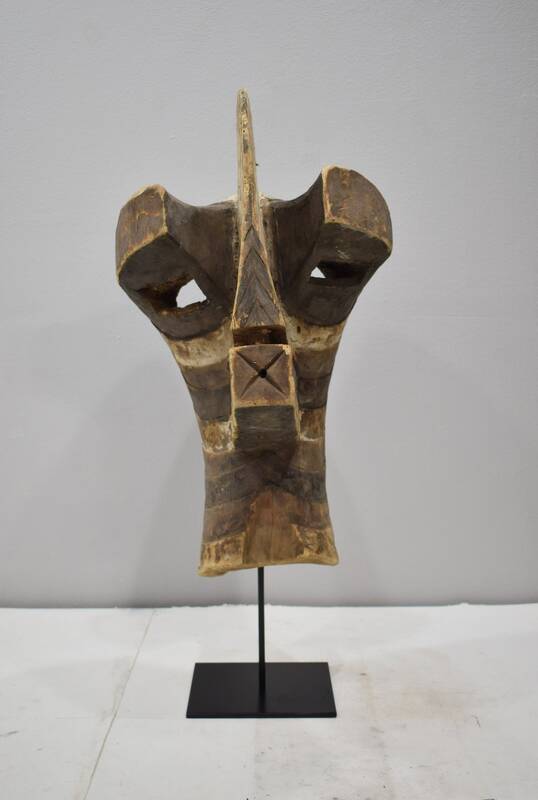 This mask belongs to the category of the most famous Songye masks known as Kifwebe and made for the Bwadi Bwa Kifwebe Secret society. 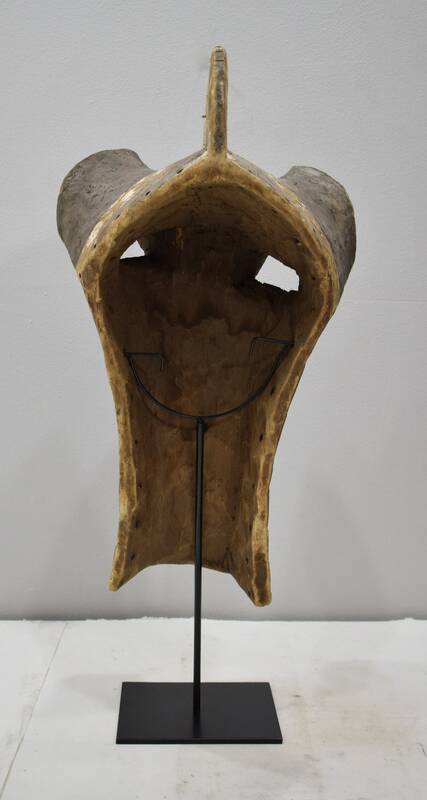 "Kifwebe" means "Mask" in the Songye language and represents spirits of the ancestors during initiation ceremonies. Male masks are distinguished by a striated pattern of three colors. The size of the crest determines the magical power of the mask. Male masks are known for their distinctive exaggerated forms. Aggressively formed with bulging eyes, projecting mouths and powerful crests, and the masks of elders embody the greatest potential and strength. The dynamic forms symbolize the level of power, or grade of the masked figure. Used for social control, political action, or the solicitation of contributions and protection, masks like these were danced at important funerals, visits and investitures. 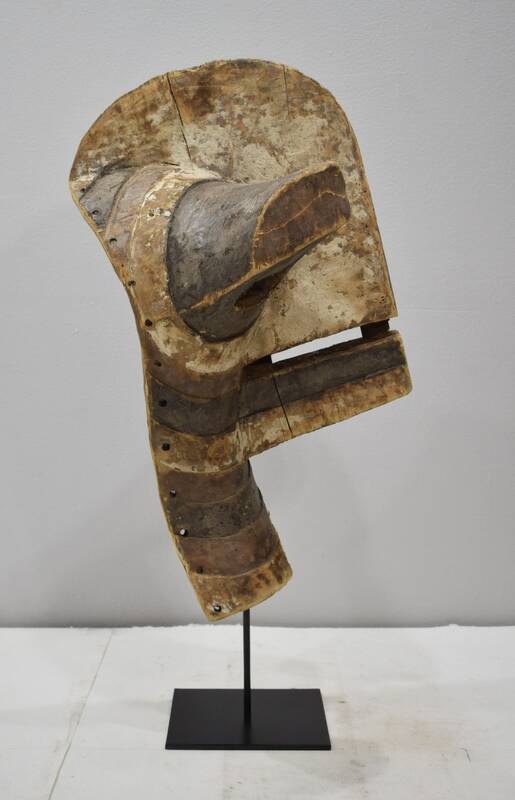 This is an amazing Songye Male Mask that would compliment your collection or home. Shows age, some discoloration, small chip in front, but overall in good condition.